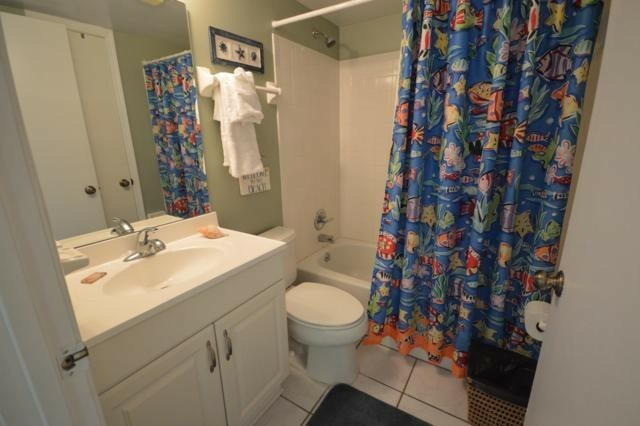 This is a cozy, bright and sunny end unit that offers peeks of the ocean. 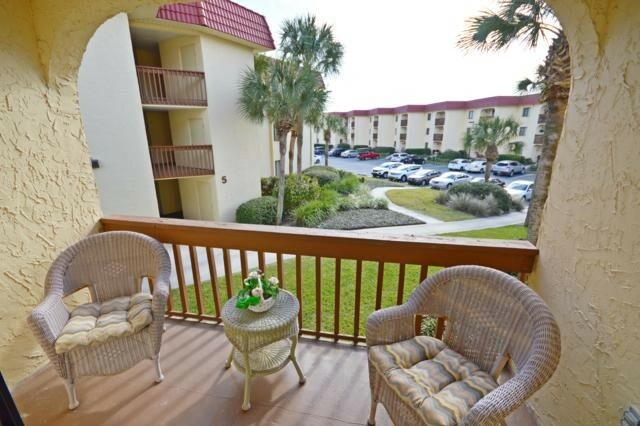 A perfect condo to come home and relax after a day at the beach or a shopping excursion in town. 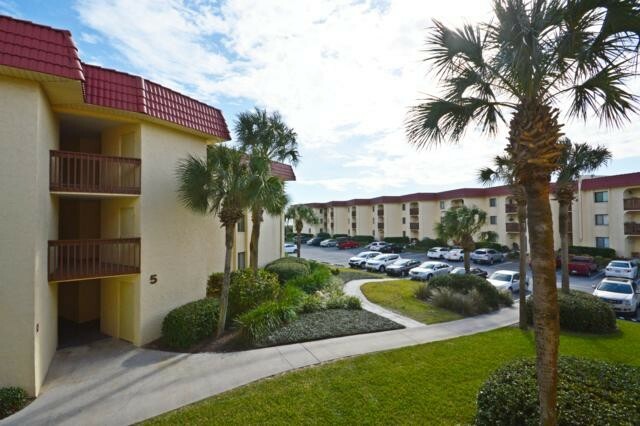 The unit is well maintained, freshly painted and both bathrooms are newly remodeled. 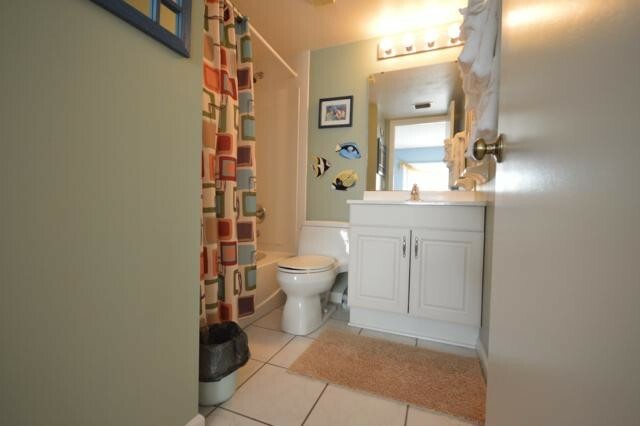 The master bathroom features a grab bar near the bathtub. 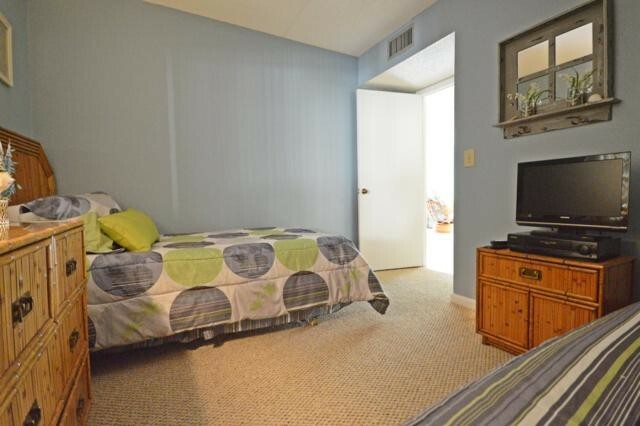 The unit comfortably sleeps 6 and has 3 televisions, a DVD and VCR player and a small video library. The unit also includes a washer and dryer, microwave, coffeemaker, toaster and blender. The refrigerator has an ice maker and a filtered water dispenser. There is an electric grill on the balcony for your enjoyment. The unit includes an ample supply of dishware and cookware and also has a wine decanter, martini shaker and accompanying glasses. There are six beach chairs, beach mats, a beach umbrella, A NEW BEACH WAGON and several miscellaneous beach toys available for your use. 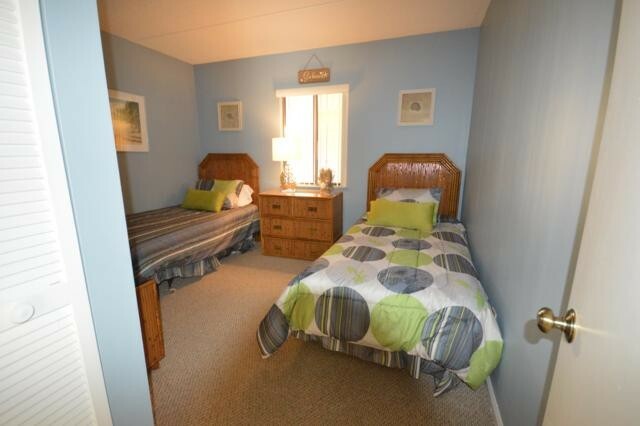 The master bedroom has a luxurious queen Tempurpedic bed. 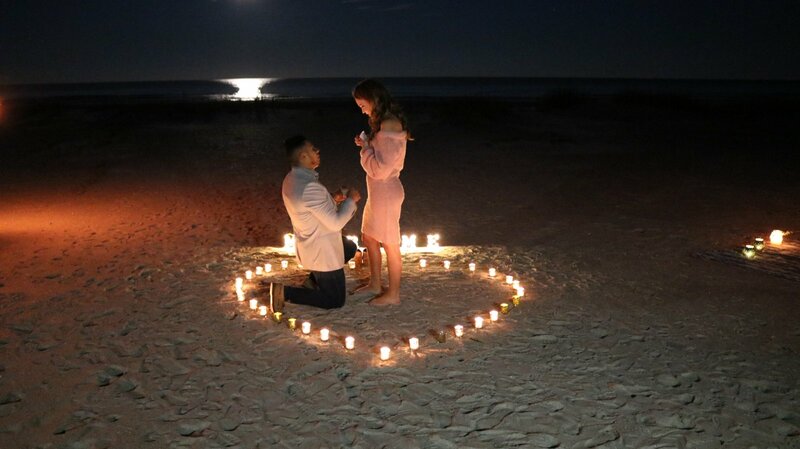 The unit has free wireless internet service, free unlimited local and long distance calling throughout the U.S. and Canada, and over 250 Xfinity cable channels for your enjoyment. The unit also has a Pack-N-Play for you to use with the little ones! ENJOY! 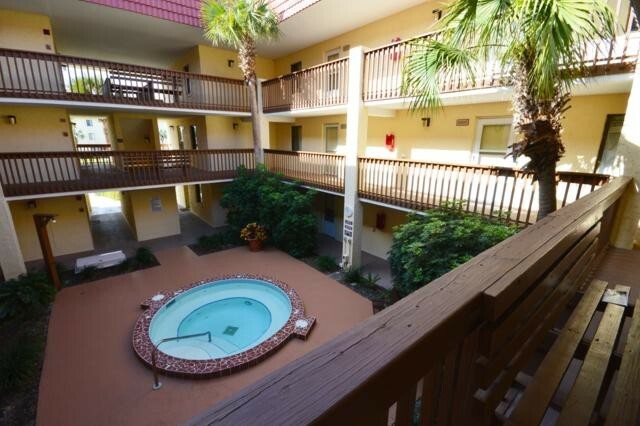 Please contact me with information regarding 6208 Jacuzzi Villa 2nd Floor S.